A game system and method for interactive game system is disclosed. The game system includes at least a first trading card and a second trading card. The first trading card and the second trading card include a substrate, a processing engine and a wireless interface configured to detect the presence of the other trading card. The first trading card sends a message to impact the second trading card. A method for interactive game system using first trading card and second trading card is also disclosed. Looking for licensing and royalties. 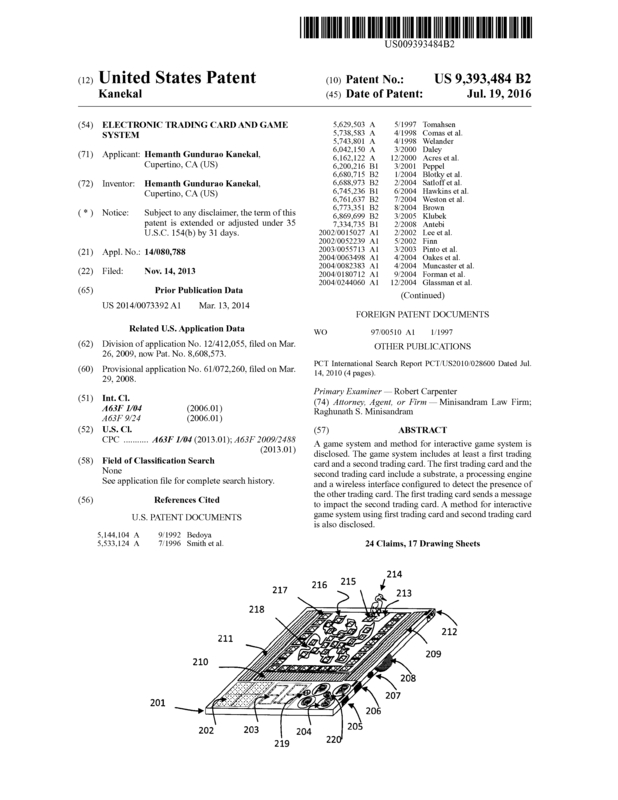 Page created at 2019-04-25 10:16:06, Patent Auction Time.